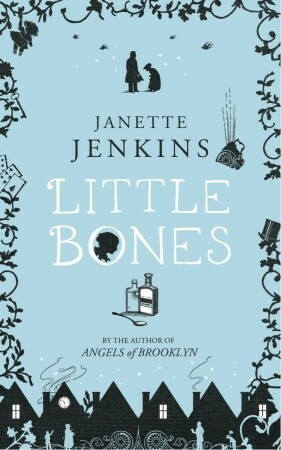 In the year 1900 Jane Stretch found herself alone in London. Over the years their parents had dragged Jane and her sister, Agnes, from pillar to post, dodging trouble and creditors, before abandoning them altogether. Please forgive me. I have to leave, to make my own way in the world. It won’t be easy, but for now we are better off alone. It will make us stronger. I won’t forget you. Until we meet again. Poor Jane was in despair. She was a cripple, she had no job, she had no prospects, and she had no money to pay for her lodgings. But then she has a stroke of luck – her landlady offers her an attic room and a position assisting her doctor husband. Jane was surprised that a doctor would want an untrained assistant, but she was in no position to refuse, and the doctor was not at all what she expected. Jane was the assistant to an abortionist. She accepted her lot: after all, she and the doctor were offering a service that was much in demand. But abortion was against the law. One day something was bound to go wrong. This is a simple, moral tale, but it is wonderfully effective. Janette Jenkins writes with such simplicity, such clarity, and a lovely turn of phrase. She brings London at the end of a century to life wonderfully well, and it’s a fine stage for a colourful cast of characters. Foremost among them is Jane, a most engaging and surprisingly likeable heroine. She had compassion, reflecting the kindness of one or two good people she met in the past; she had a certain naivety, as her experience of the world was rather limited, and she had natural charm that was entirely her own. I believed in her and I understood her. But I appreciated that Janette Jenkins didn’t offer her an easy way out, and that she asked some difficult and interesting questions without ever weighing down her simple story. It’s a very readable story and, though the sudden shifts into the past sometimes jar, everything else works very well. I read it in an evening, and I was captivated until the very end. What an interesting book, it sounds quite a short novel? Glad to hear that the ending is not sanitised to suit readers. It’s gone back to the library, but as I recall it was a little over 200 pages of a smaller than average hardback. So quite short for this sort of book, and very readable.